Do you have a father in your life who is also a movie buff? 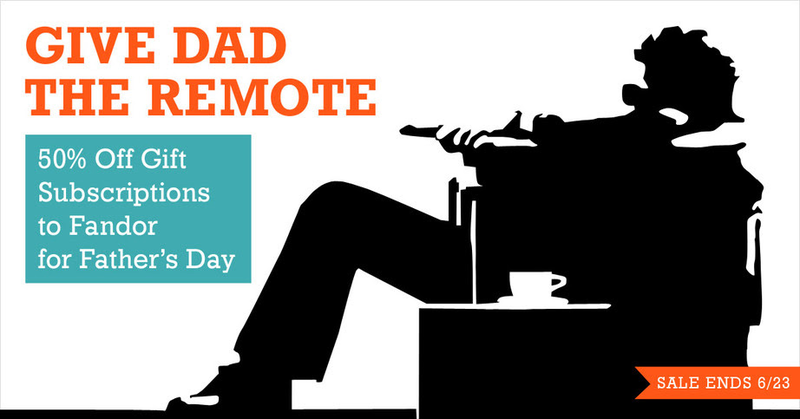 To celebrate father's everywhere Fandor is currently offering 50% off gift subscriptions. Fandor is the premier streaming service for award winning indi, international, documentary and classic films. This is the go to place for 1960's cult classics, 1940's film noir, vintage horror films, obscure foreign films and more. Make dad a happy cinephile this Father's Day by purchasing a gift subscription here.